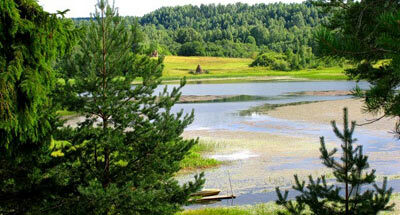 National Park Kenozersky is situated in the Plesetsky and Kargopolsky Districts of the Arkhangelskaya Region. 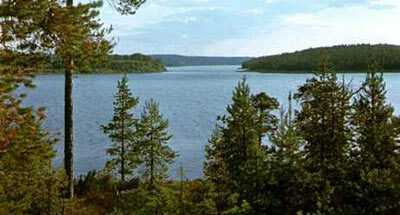 The Park was founded in 1991, its area is 139,2 thousand ha, including 20,6 thousand ha of lakes and waterways. It comprises the basins of lakes Kenozero, Lekshm-ozero and other smaller lakes and lake-river systems (Naglim-ozero, Monastyrskoye, Svyatozero, Pedozero, Muiozero, etc.). Characteristic middle-taiga coniferous (mostly spruce) forests are present on rough river-glacier valleys, and pine forests on lake-glacier sandy valleys. There are a lot of high bogs, and in inundation zones rich tall grass meadows. Spruce forests are distinguished with the most floral diversity. Of rare plants there grow yellow lady's slipper, Lobelia dortmanna, Dactylorhiza traunsteineri, and Isoetes setacea. Elk, brown bear, wolf, beaver, wood grouse are common. 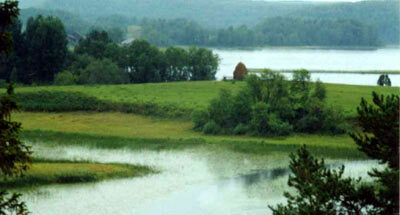 Nesting places of the fish hawk and crane are noted; the lakes are stops for migrating Bewick’s swans. Monuments of history and culture are numerous: civil and religious architecture, and the hydrological machines of the past. Of special importance is the presence of historical landscapes, of lake shores with their modern and traditional land-use.